AMM blog: Inspiration for Your Patio and a Grilling Giveaway! 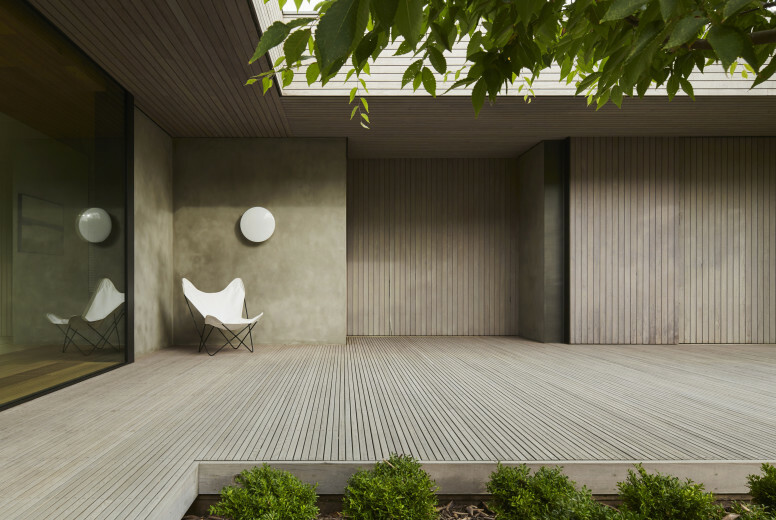 The spacious deck above features simple vertical slatting that extends up the side of the building itself, giving a very unified look. When you think of summer, chances are you see yourself outside. Maybe you love having a meal with friends outdoors, summer grilling, playing games, even gardening or just relaxing. Whatever you enjoy doing most outside, many of us dream of being able to do this in our own backyard. 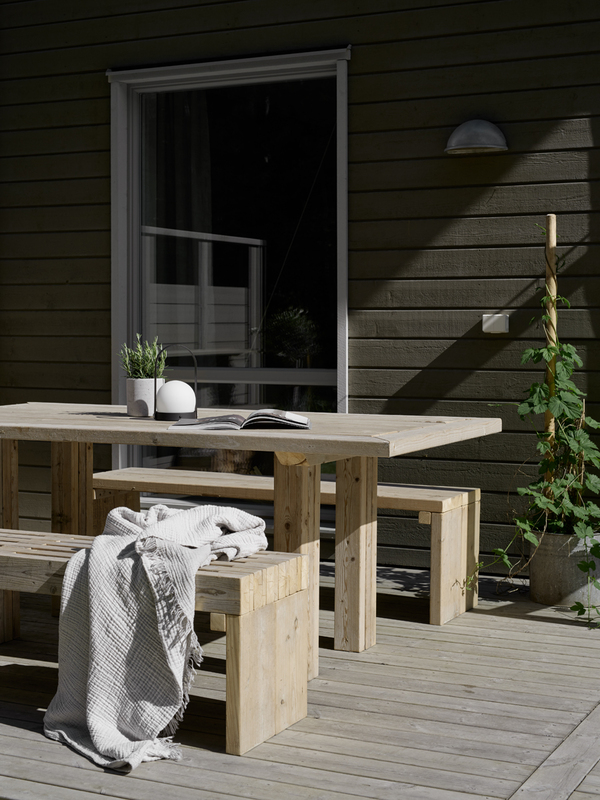 A patio or deck is the perfect way to bring a living space outdoors and make the outside more welcoming with things like seating, storage and lighting. I've gathered a few of my favorite patio/deck spaces that feature some of my favorite ingredients for a well rounded outdoor space like built in seating, a fire put, retractable shades and integrated lighting. 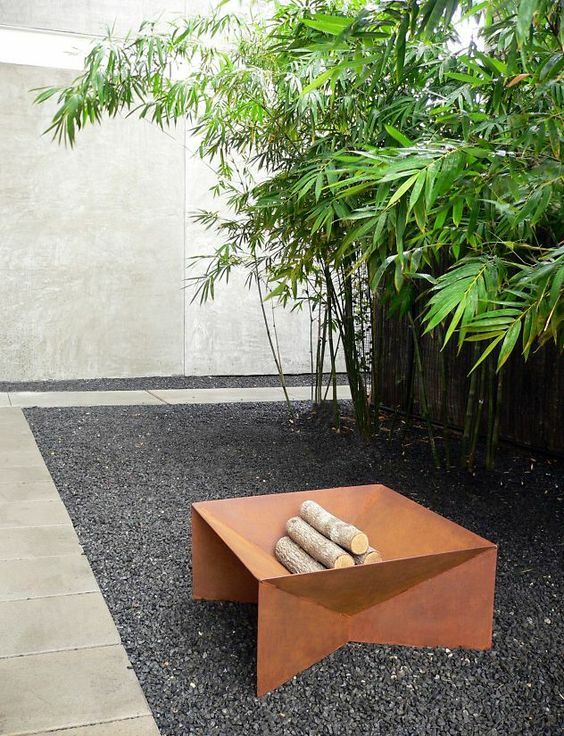 A good looking fire pit like this one let's you keep warm and well light in the evenings but also serves as sculptural detail when not in use. A win/win. 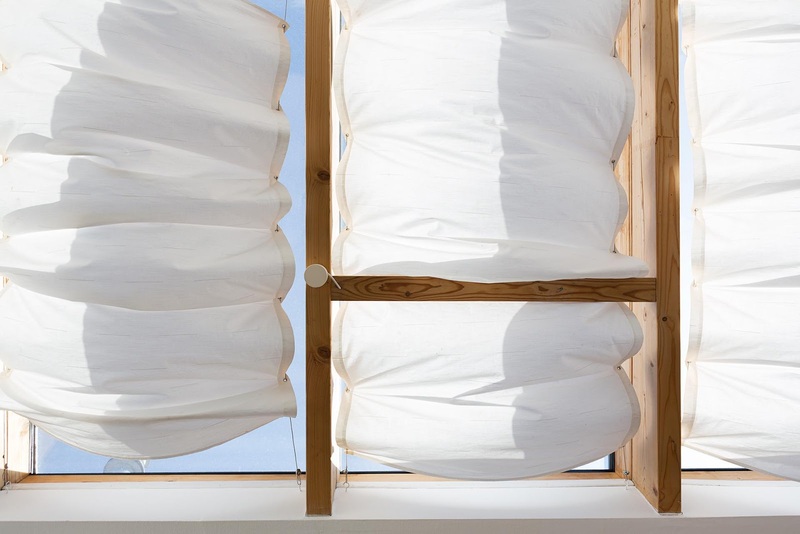 Shades like these give you a lot of flexibility to control light. Roll them completely out of the way for maximum light and draw them closed again for more diffused like. The look gives a slight beachy feel too. I prefer this sort of shade to a solid canopy that blocks light entirely. Solid wood tables and benches such as these keeps the furniture feeling natural and understated but the benches also supply room for quite a few people. Even a micro patio like this is a great place to have dinner for two. 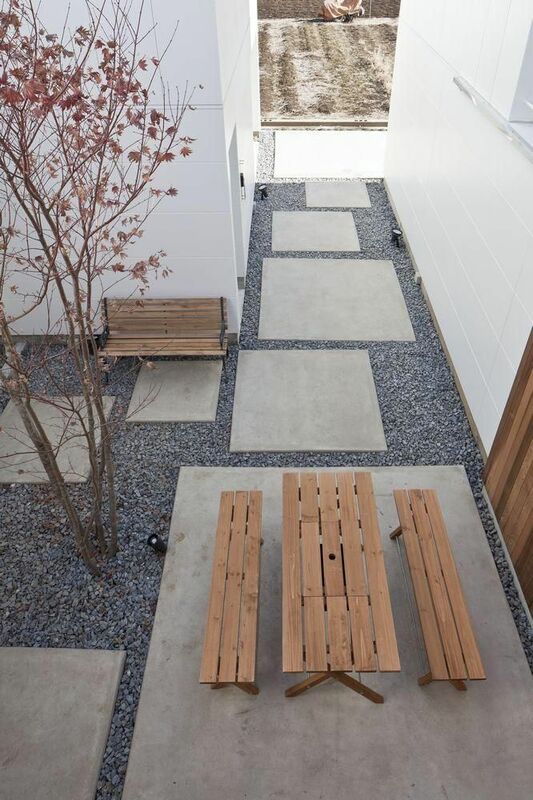 This outdoor space extends porch living out into the garden with pea gravel and large cement tiles. 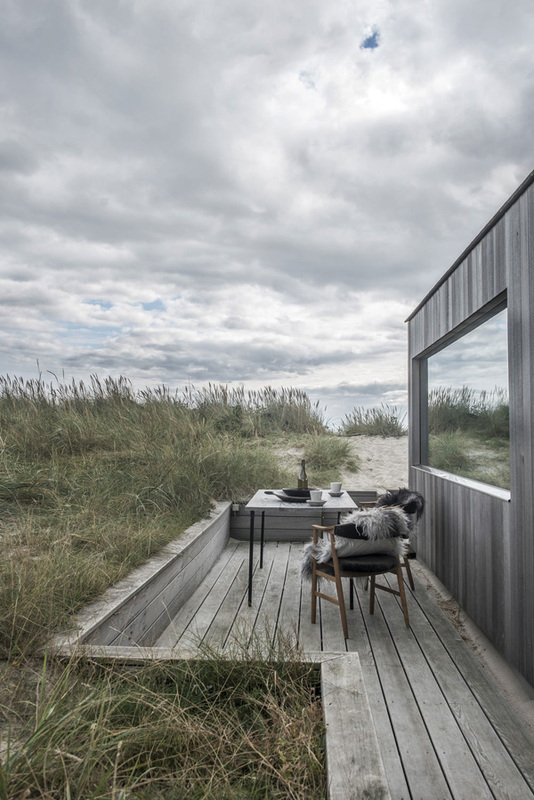 The wooden bench and table acts as a softer contrast to the cool grey stone. The tiles create a pathway throughout the space. Subtle integrated lighting can have big results. 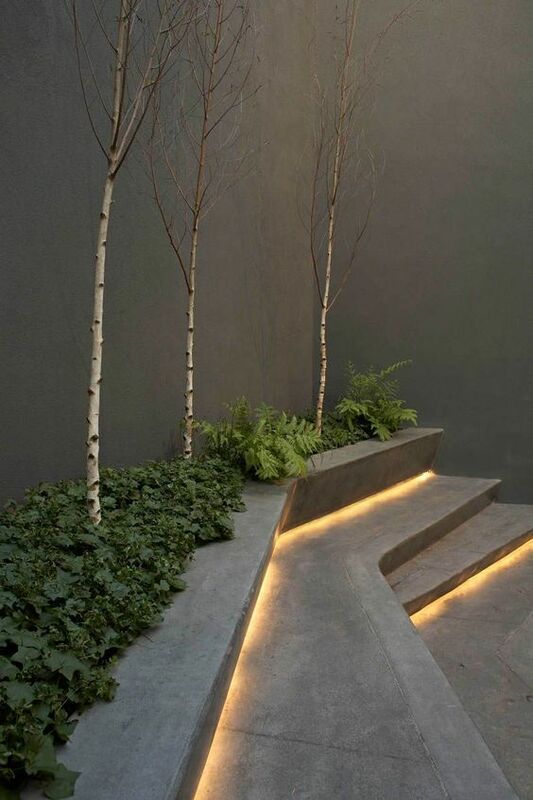 People often overlook outdoor lighting, especially beyond hanging lights and into the garden so this is a wonderful solution. 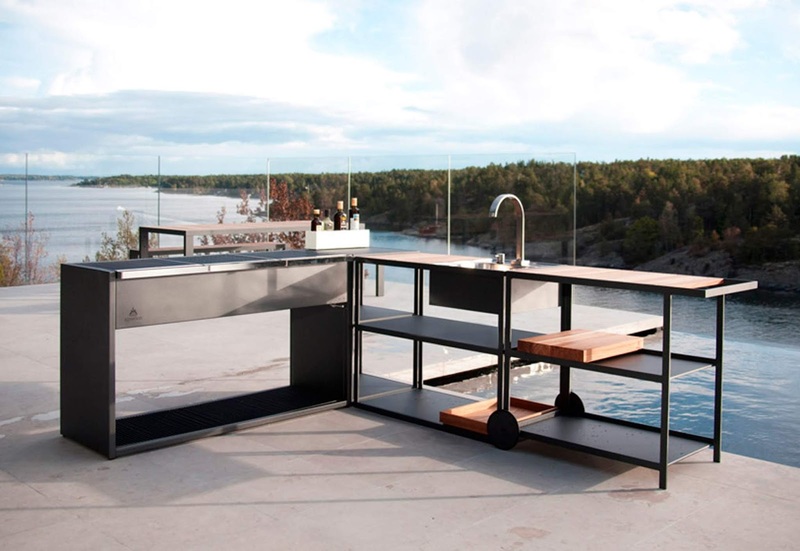 A stylish BBQ and food prep area from Roshults whose aesthetics won't interrupt your outdoor style. Fill out the form and submit a photo of yourself to enter, and make sure to share with friends and family. The submission with the most votes wins!